I have a mate named Harry who will dismiss a (sometimes obviously) valid point or argument with the retort: "Details, details...". Of course he always says it with a little smile. It's a long-standing joke we have. The reason it has particular ironic resonance with us is that we are both, in our own ways, rather fond of details - particularly in debate. Some might even describe us as pedantic (although I think this description is as dismissive of the importance of "details" as Harry's joke). 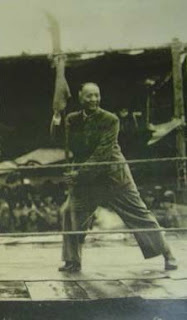 The late, great, Chinese martial arts teacher Chen Pan-Ling was given the task by the then Chinese government of collating knowledge of martial systems before their likely extinction in the face of the advance of the Japanese and later the Communists. 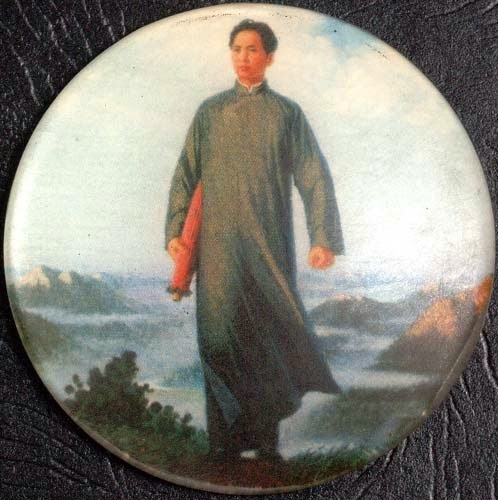 Being one of the most respected scientists of his era (he was the leading hydraulics engineer in pre-war China) and having an impeccable martial arts pedigree, he was given access to martial systems that were usually kept secret. What Chen Pan-Ling did with this knowledge is important; he didn't seek to preserve each art he was taught with slavish adherence to the particular forms. There simply wasn't time to preserve each art "warts and all". Rather, he focused on the essential techniques of each system and how they worked. This involved a close examination of the biomechanics of each movement. 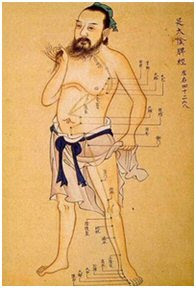 Where he found common techniques or methods with discrepancies he evaluated them in light of his scientific knowledge and settled on the most biomechanically sound and efficient option. This is where the "details" became important. For example, in the case of taijiquan, he didn't preserve the Yang, Wu, Hao, Chen etc. 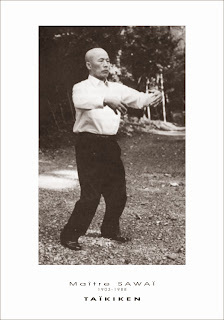 forms as separate entities; rather, he compiled the essential movements of the art of taiji into a synthetic form - what is known today as the "99" form or, obviously, the Chen Pan-Ling form. 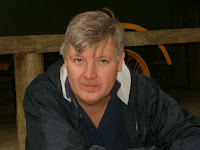 This form was his attempt at "rationalising" the discrepancies in detail between the styles. That this mild-mannered, scholarly gentleman would become a national treasure of Taiwan and the chosen teacher of some of that island's most legendary fighters (eg. 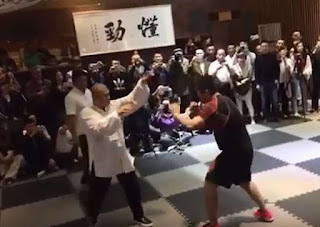 Wang Shujin and Hong Yi Xiang) speaks volumes of his knowledge and contribution to "detail" in martial application. 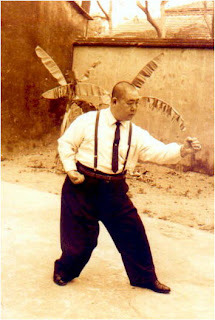 Today there are myriad styles of martial arts. Even a particular style (eg. 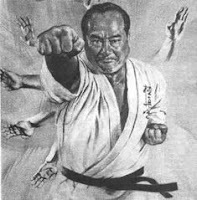 goju ryu karate) has literally thousands of variants, each of which does things in a particular, slightly different, way. Sometimes the differences are not significant, however I will, in this article, take the opportunity to highlight 2 "details" that I feel are significant. Consider the video above relating to saifa kata. At the start of the video I examine a particular inverted fist punch (ura zuki) performed after a hammer fist strike (tetsui uchi). 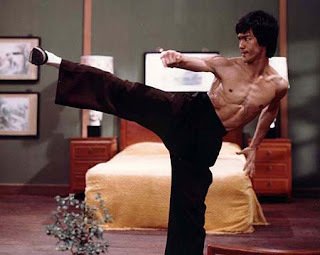 The hammer fist is performed side-on, and you then turn your waist towards your opponent and perform the inverted punch - much like an uppercut, but to the floating rib. It is at this point that the detail becomes interesting. Some schools insist that after you turn your waist to effect your blow, you should sharply pull your hip back at the moment of impact. Why? It has been argued to me (by some very senior martial artists) that when you turn with your punch you are vulnerable to being pulled off-balance should your arm be grabbed. The hip "pull back" stops this from occurring. The problem is it does much more than that: The hip "pull back" also pulls back much (if not most) of the force you are trying to impart into your opponent. Many karateka will attempt to off-set this by trying to make the move as "fast and hard" as they can. But is there another way? Some schools (eg. gojukensha) have resolved the issue by doing the entire sequence of hammer fist and inverted punch facing their opponent "head-on". But all my research indicates that this is at odds with how the kata was designed. The concept works, but it renders that part of the sequence into an entirely different "beast". After all, there are many times when you end up side-on to your opponent (even gojukensha practitioners practise their naihanchi sideways). Is there a way of keeping the move "as is" (ie. a side-on technique) but avoiding the pitfall of being pulled off balance when you turn at the waist? I found the answer in Chen Pan-Ling's work; his approach to similar movements in the "internal arts" is to sink the body as you turn. Not only do you end up more solid/stable than you do when you are side-on after a forced hip "pull back", but you are also able to put the full power of your hip into your blow. A related "detail issue" commonly arises in versions of the kata seiyunchin/seiunchin (see the video above). 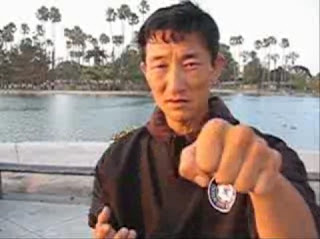 The opening sequence includes a technique where you are in a deep horse stance (shiko) and execute an inverted knife hand strike to your opponent's floating rib or into his/her inguianl canal. The kata positions you at 45 degrees relative to your opponent. Accordingly, in order to strike straight forward (90 degrees) your hand needs to be 45 degrees to your body (45 + 45 = 90; it's straightforward logic isn't it?). Yet today many schools perform the nukite in line with the direction of their stance (see the video below). 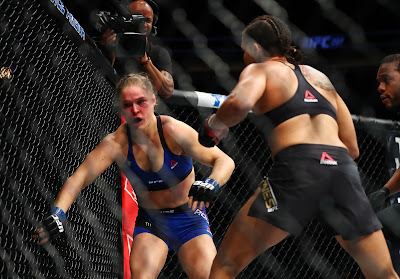 It is my strong view that this angle cannot possibly make for an effective knife hand strike to your opponent: As with the inverted punch in saifa, your body is simply not aligned efficiently since your hips are pulling away from your strike. Even your own body gets in the way! This is not to suggest that I think the nukite is a "power" technique; it isn't. At the best of times, an inverted knife hand strike is going to be suitable for "vulnerable regions" only as it doesn't have the scope for building momentum (as opposed to, say, a reverse/cross punch). The fingertips further limit "power" usage. The nukite might have a powerful effect, but it is not a "power technique" per se. Why emasculate a "non-power" technique even further? As Harry would say: "Ah, details, details..."
Ah...Goju. 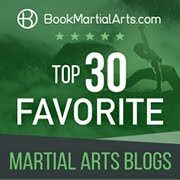 You're right about the different takes on Goju kata execution. Having gone through different sensei in the same style, I have ended up with three or four "variations" on Saifa, all addressing a different approach at precisely the junctures you touch upon. Details...details.I take them all into consideration and in stride. As you well know, even in the same dojo under the same sensei one sees the variations among one's fellow black belts, each adapting the kata to his or her body and mindset. I chose these "junctures" to show a variation (inverted strike lining up with the direction of the stance) that I consider untenable; others are tenable (eg. gojukensha's approach to doing the hammer fist and inverted punch head on, etc.) - it just becomes a matter of what the individual thinks is most useful/important or what was in the mind of the designer (assuming the design was sound to begin with). In the Saifa I learned, after the hammer fist, one grabbed the hair and pulled down while simultaneously with the other hand striking the opponent in the throat. You are probably aware of this variation, but I just write in case you aren't. Yes Angelo - the raw footage I took shows an uppercut to the head as well. 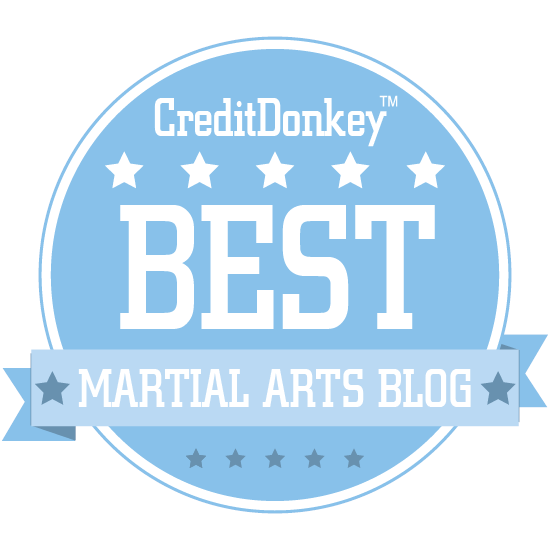 I demonstrated the inverted strike for fidelity to the kata, but I have been aware of the particular oyo to which you refer for a long time (since the mid-80s)! Thanks for raising it. To get the right solution, one must have the right context. But without another human body, one can only get the context from one's imagination in a solo kata. This requires mental abilities, not physical ones.